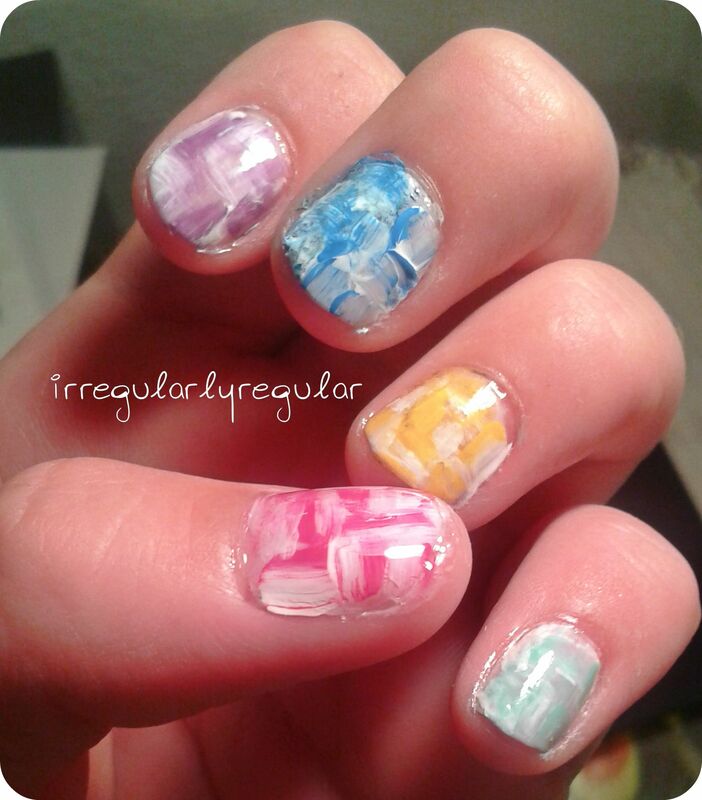 I was actually dreading the day of rainbow nails – should I do an actual rainbow or just the colours in some kind of gradient? And would it be something that I would actually want to wear in public? BUT THEN I saw this youtube-video (https://www.youtube.com/watch?v=iqmjRINbo90) and got my inspiration from there.